Hearts make a great paper folding craft that both kids and adults can enjoy creating for Valentine's Day, Weddings, Anniversaries and other romantic and sweet little occasions. Why not surprise someone you love with this design - after all, it costs nothing but a little of your time and a single piece of square origami paper. These are very easy origami heart instructions. So simple that kids can make them too. 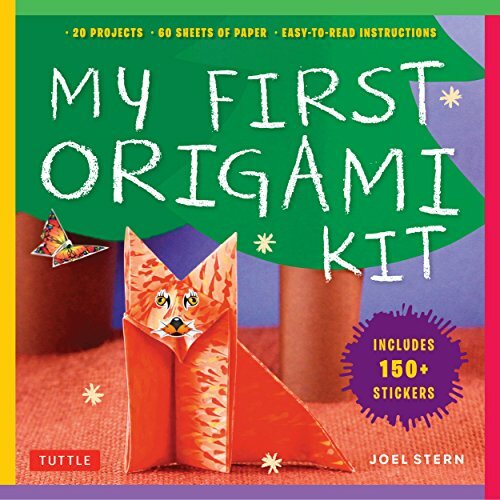 Children might need some help, depending on their age and folding experience, to follow the step by step instructions. They can enjoy making a little paper heart love note. Other ideas include using these as pretty table decor, strung up as hanging ornaments, threaded onto string as bunting or to adorn a cute handmade card. This page shows you how to make a really simple and easy origami heart - so simple that the instructions are suitable for both kids and adults to make. Young children might need some guidance with completing the step by step format. Older kids should be able to complete these on their own once they know how the sequence goes. The heart is made in just 11 steps with absolutely no tricky folds to master. If you can crease paper, you can do this! A fun and easy project for Valentine's day and a cute craft. Image Credits: All images on this page belong to the author, Marie Williams Johnstone. You need 1 square of paper to make an origami heart. You can work with a piece that is small or large but I'd recommend starting with paper measuring at least 5 x 5 inches until you're confident in your folding. This size works well if you need paper folded hearts to stick onto the front of a handmade Valentine, Wedding or Anniversary card.Try making 3 hearts in different sizes and stick together from large to small so you have a beautiful 3D layered heart. Fold your first square in half diagonally as shown. If your paper is patterned or colored just on one side (and it is easier for beginners to use single-sided paper) then the pattern or color should face upwards. Try and fold as precisely as you can with the edges of paper matching up as good as you can manage. 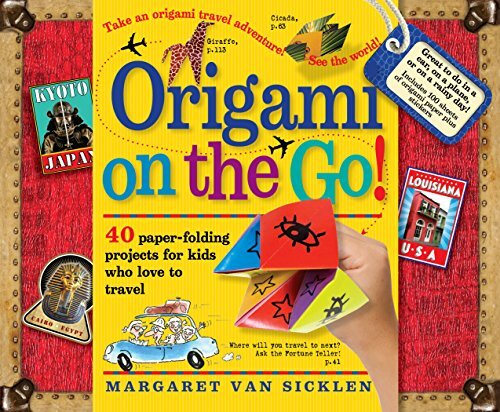 This will help you to make better origami structures. If your folding isn't lined up, especially in the early stages, then your finished piece might not work well. Unfold the paper back into a square shape once you've made your diagonal crease. 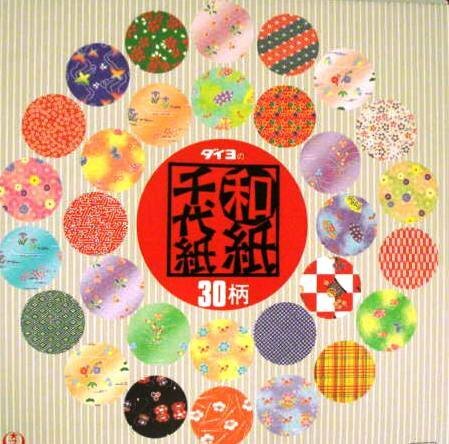 With single-sided paper, the blank side should be facing upwards. Rotate your paper so the diagonal crease is facing the same way as my example at a \ (back-slash directional) slant. Pick up the bottom right corner of your paper and drag it over to the top left to fold your paper diagonally in half in the other direction and make your crease. Unfold your paper and you should now see 2 folded creases which cross over in an X shape. Twist the paper around so that it sits like a diamond shape in front of you on your work surface. This makes your folds now appear in a cross + shape. The blank side of the paper should be facing up. Pull the top corner down to the middle fold line of the paper, line the point of the corner up with the exact mid point of the paper and make a crease. Pull the bottom corner of the paper up, position the corner right at the top middle of the paper and make a crease. Take hold of the corner on the right side and lift this side of the paper right up and fold what was the bottom right edge along the middle crease line. Repeat this process on the left side. Take hold of the corner on the left side and lift this side of the paper right up and fold what was the bottom left edge along the middle crease line. You now get something that vaguely resembles a heart shape. Flip your origami heart over so you can see the back of it. Take hold of the right corner and fold it back slightly in this < direction. Then repeat on the other side by folding back the left corner slightly in this > direction. This just adds more shape to your completed heart. Now take hold of the top right corner and fold it down to meet the edge of the colored or patterned side of paper as shown. Repeat this process on the left by folding that corner down to the edge of the paper as well. This helps to round off the heart's edges. And you're finished! 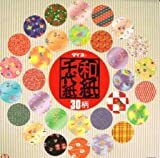 You can use all sorts of pretty papers, plain, patterned and even lightly textured to make some wonderful and unique origami hearts. You can write a cute little note on the outside if you're giving your heart to a loved one, or slip a little note inside the heart which almost works like a paper pocket. I hope you've enjoyed reading my wizzles page today, thanks for your visit. If you loved this easy origami heart tutorial then please share the page on your favorite social media site. Will You Follow these Easy Origami Heart Instructions? Yes that is perfectly fine for you to print out and use the instructions for any non-commericial kind of use. I hope that helps, thanks. Can I edit and print out ur instruction for the preschool students? It will be very helpful. Thank you! Thank you, Nicola, I'm glad you enjoyed the instructions for this easy to fold heart. 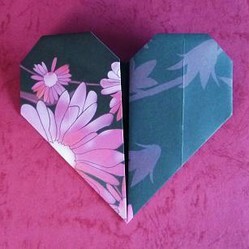 I love that you're going to try this easy origami heart out Terrilorah :) Paper crafting is great fun with children. I love this and thanks for making it so simple to do. I am going to try this with my two grand daughters. Here's some cute Valentine Cookie Decorating Ideas for easy but great looking heart shaped or romantic cookies you can make. Heart cookies are fun to create and make sweet gifts. Valentine stuffed animals kids can enjoy make cute gifts which can be kept and hugged forever when gifted for February 14th. Special toys and bears that come complete with hugs.